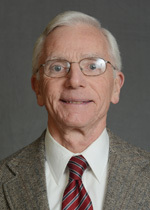 Having completed residency training in Internal Medicine at Winthrop University Hospital and in Neurology at the University of Miami, he is board certified in both Internal Medicine and Neurology, He started his career in Medical Neurology in 1982 at the Marshfield Clinic in Wisconsin and while there, served on the clinical faculty of the University of Wisconsin. In 1986, he moved to Connecticut and since then, he has been an attending physician at both Yale New Haven Hospital and the Hospital of St. Raphael. He served as the section chief at HSR from 2007 until 2014; was the founding Medical Director of the Connecticut American Parkinson Disease Association; and was the Medical Director of the nationally accredited HSR Stroke Program. He is an Assistant Clinical Professor in the Yale Department of Neurology. His interests include all areas of Medical Neurology. On the areas of interest on the bio, please remove EEG, EMG, Infusion therapy, Lumbar puncture and Nerve conduction studies.